Bill Watterson's classic comic strip always took an extra sharp turn for the weird around the season's first snowfall. And although there hasn't been a new "Calvin and Hobbes" printed in the last twenty or so years, Calvin's mischievous spirit has quite clearly lived on. 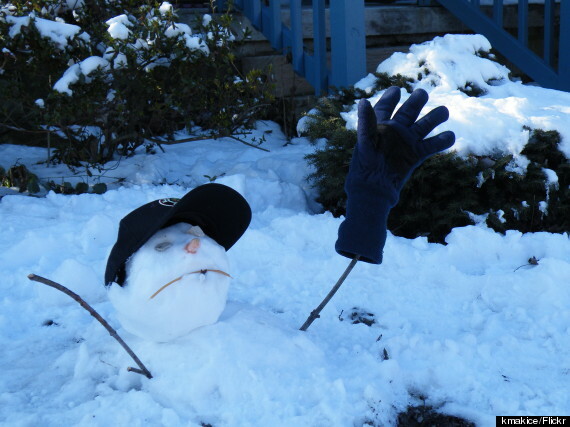 Without further ado, here are some of the strangest snowmen to grace the cold, white earth. A snow-witch doctor stewing some shriveled heads. 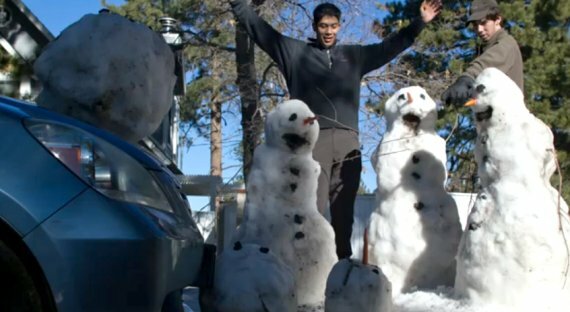 A snow monster and its victims. A lot of snow monsters and their victim. 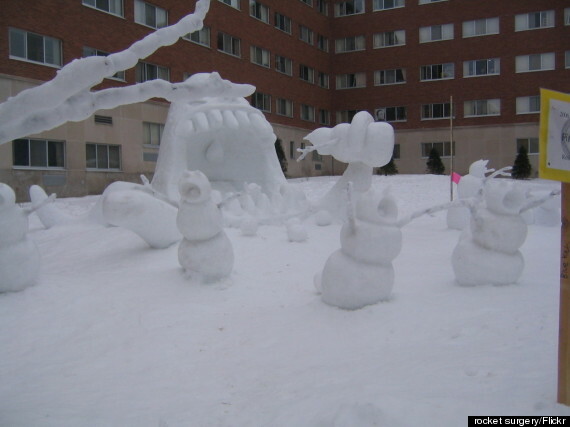 Snow monsters or Lilliputians -- your pick. 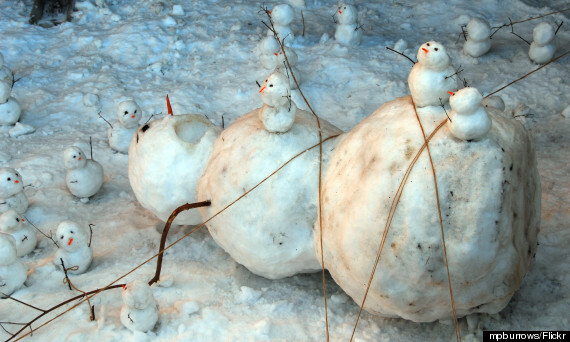 Calvin would no doubt be proud that someone decided to reenact "Gulliver's Travels" with evil snowmen. 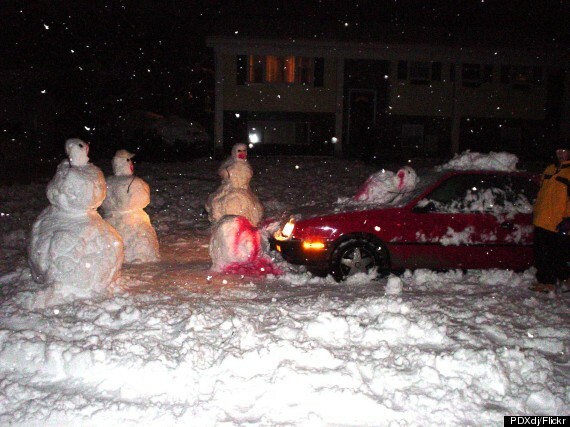 A snowman reenactment of Shaun of the Dead. 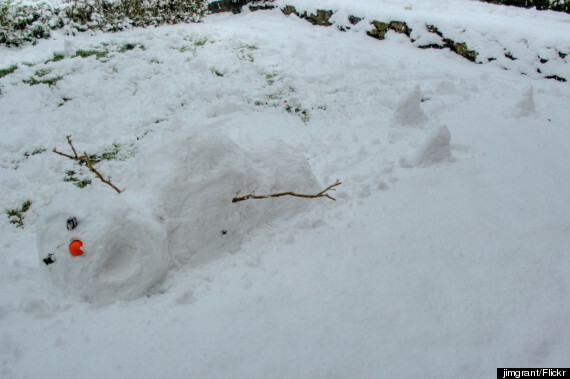 A snowman in the throes of death. Snow that wants you to rock on. A snowman escaping death by snowshark. 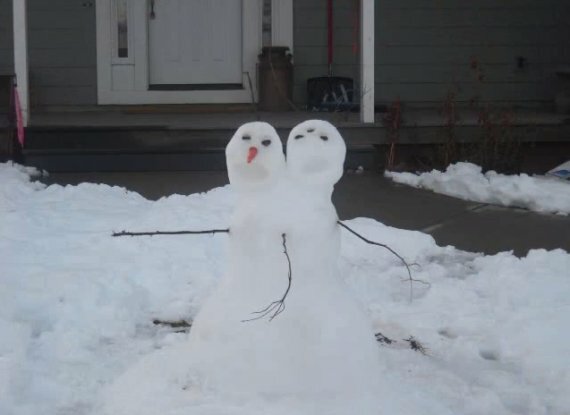 Another snowman homicide. It's a dangerous world out there. A snowman doing some thinking. A snowman taking his revenge. A snowman with a lot to say. This piece has been updated to note the "Gulliver's Travels" reference in #3. The ultra-elegant, uber-luxurious Amanusa hotel is Bali with a seriously chic accent. Located on a sensational cliff-top with 35 suites, all with private pools, this was once Princess Diana’s Bali abode. Privacy and seclusion are guaranteed. A private beach, complete with daybeds in secluded alcoves is the perfect setting for a Balinese massage and candlelight dinner under the stars - with your own team of chefs. Read more about <a href="http://www.gogobot.com/bali-indonesia" target="_hplink">Bali</a>.